Bihar Police Constable, Fireman and Driver Post Result 2018 is Out now. Central selection board of constable releases this result. Note that the exam for the same posts was conducted back in June 10, 2018. The candidate who qualify the exam then appear for a Physical Efficiency test which was conducted back in between October 7 to October 12 last year. Moreover, the Driver Efficiency test was conducted back in between January 5 to January 12 this year. There are a total of 1669 posts vacant out of which 700 posts are reserved for constables whereas the remaining 969 posts are for Fireman and Drivers. 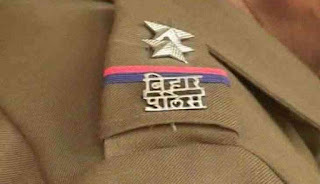 Bihar Police Constable, Fireman and Driver Post Result 2018 is Out now. Central selection board of constable releases this result. Note that the exam for the same posts was conducted back in June 10, 2018.